A full and aromatic nose with honeyed apricot, apple and pineapple. 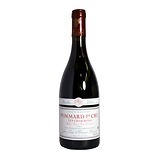 A pleasant fruit sweetness mingles with some very subtle oxidation notes and minerals. Dry, low-medium acidity. Lovely, lightly honeyed apple with a subtle cider apple note, minerals and hints of citrus and oxidation. Long, fresh, citric finish with lingering pineapple.